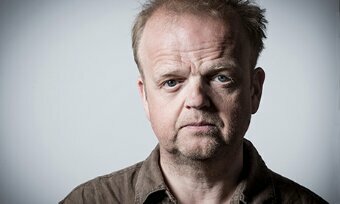 BBC Two has commissioned new single 90-minute biopic drama, ‘Marvellous’ starring Toby Jones (The Girl, Hunger Games) in the true story of Neil Baldwin. The film, penned by award winning writer Peter Bowker (Occupation, Eric And Ernie), tells the story of Neil Baldwin (Jones) from Newcastle-under-Lyme who despite his learning difficulties defied expectations. The beautiful, funny, true story of Neil Baldwin, a man who confounds our expectations: he has been a circus clown; a lay preacher; kit man at Stoke City (Lou Macari has often described him as his best-ever signing, and they became firm friends), once famously leading the City attack against Aston Villa in a testimonial match; he is on first name terms with leading sportsmen and senior clergy; and most recently, he was awarded an Honorary Degree by Keele University for the contributions he has made to campus life there across the last 50 years. In a world in which we seem intent on labelling each other, Neil has consistently defied any definition at all. Bowker says: “I have long been interested in how we use labels to limit the people we are describing – even, at worse, to dehumanise them. But Neil – despite being labelled and to some extent written off as a young man – struck me as a man who defied those who wished to define him. Lucy Richer, Commissioning Editor for BBC Drama, says: “The combination of Neil’s inspirational and incredible life story combined with Peter’s passion and wonderful writing will ensure Marvellous is unmissable viewing for BBC Two”. The film is co-produced by Fifty Fathoms and Tiger Aspect; directed by Julian Farino (21 Up, Flesh And Blood, Entourage) and produced by Katie Swinden (Peaky Blinders, Luther). The executive producers are Patrick Spence (Fortitude, Five Minutes Of Heaven) and Bowker for Fifty Fathoms/Tiger Aspect, and Lucy Richer for the BBC.